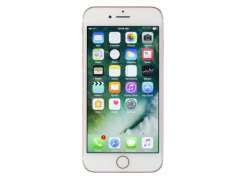 The iPhone X is Apple’s tenth anniversary edition of its ever-popular smartphone, the ubiquitous iPhone. 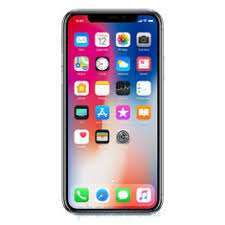 Officially announced on September 12, 2017 and available less than a month later on November 3, 2017, the iPhone X hit Australian shelves at a price of either $1,579 for the 64GB model or $1,829 for the 256GB model. This may seem like a high price for a smartphone in Australia, but as the major companies’ flagship smartphones continue to climb in price, it made sense for such a premium and special edition of the iPhone to have a premium price tag. So what makes the iPhone X worth the $1,579 or $1,829? While the iPhone has changed incrementally over the years, the iPhone X has introduced some truly huge changes to the smartphone we know and love. The first is the stunning all-screen, 5.8-inch Super Retina OLED display that almost entirely does away with bezels. 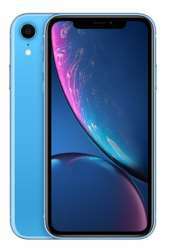 A resolution of 1,125 x 2,436 translates to a pixel density of 458 pixels per inch (PPI), making for clear and crisp images, movies and games.To accommodate for the all-screen display, there’s a striking notch to house the front-facing 7MP camera, speaker, and various array of sensors that allow the iPhone X to be unlocked with a simple glance. Along with the significantly altered front, the rear of the iPhone X is also completely revamped, with a sleek Gorilla Glass chassis that’s both gorgeous and resilient. The rear of the iPhone X also houses its dual cameras with 12MP sensors and TrueDepth detection so you can detect faces in portrait mode and enable portrait lighting for studio-quality photography effects. Powering all this magic is Apple’s latest A11 bionic processor, capable of up to 600 billion operations per second, which makes for a silky smooth experience whether in your daily multi-tasking with internet browsers and email, or gaming, streaming videos and more. 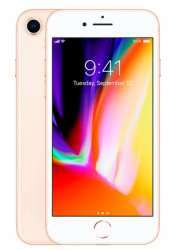 The beefed-up processing power makes for a far more efficient battery, meaning you can take you iPhone X out and about with you in day-to-day life and not worry about the gorgeous screen or powerful processor chewing up battery. With the right accessories, you’ll be able to charge up your iPhone X wirelessly as well, right alongside your brand new Apple Watch and Apple Air Pods. 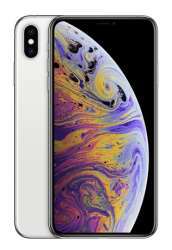 While there are some things missing from the previous generation of iPhone — the home button and fingerprint scanner are gone, for instance — these things have been accommodated for by introducing cool new features like facial recognition ID and a whole new gesture system which allows you to interact with your iPhone X in an intuitive way. There’s also Animoji, which takes the powerful facial recognition technology and turns your facial expressions and gestures into a delightfully animated poo emoji or similar. This is the future of smartphones.